•	Best Selling Author •	Strong Technical Abilities •	Social Media Marketing Success •	Successful Entrepreneurial Experience As the author of three best-selling, critically acclaimed books and founder of a website with a #1 ranking in a competitive market, I am uniquely qualified to create web content to enhance customers’ experience as well as corporate image. I use the marketing experience I gained in promoting my books to fuel ideas for innovative marketing strategies. I consulted with manufacturers for 3 years to promote brand awareness and increase customer loyalty through the use of online marketing tools such as search engine optimization (SEO), blog and social media marketing, online press releases and web copywriting. Actively seeking a freelance writing projects or full-time marketing communications position in Kansas City. Ideally I'd like to help build a comprehensive social media marketing campaign to share company insights and enhance branding efforts. Author of 3 Best Selling Books – Distributed by F&W Publications, and available at Barnes & Noble, Borders, Books-a-Million, Michaels and Amazon. Rated 4 ½; stars on Amazon and currently ranked #307K out of 10M SKUs sold. First book proposal was accepted by publisher in less than 1 week. Additional essay published in the renown Chicken Soup for the Soul book series. Contributed to other books, including writing the foreword and sidebars, editing, and being featured as an expert. Reader’s Choice Award finalist for leading industry consumer magazine. 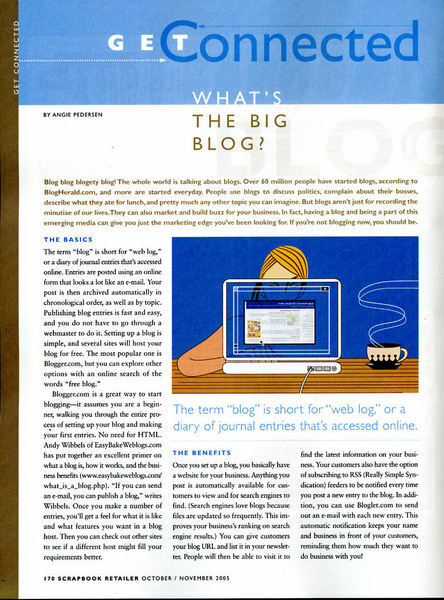 Writing featured in 4 trade magazines, 3 consumer magazines and 7 online magazines. 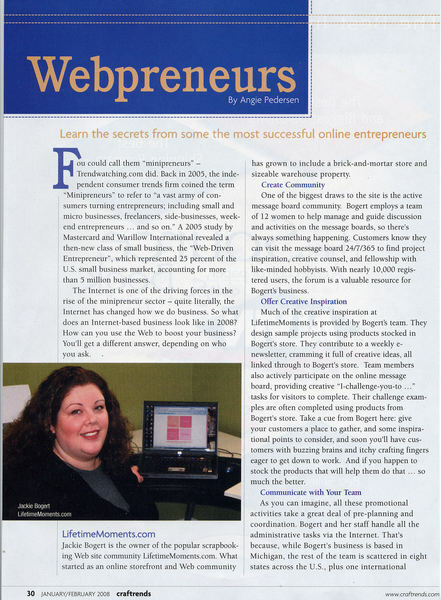 Wrote a magazine column on internet marketing principles (see B2B Trade magazine writing portfolio at http://angiewrites.com). Authored industry standard tutorial that was downloaded 150K+ times. Write a bi-monthly trade magazine article on "Becoming Buzzworthy", using social media to promote retail businesses. Analyze content needs and synthesize copy from a variety of sources. Write and edit copy for promotional pages, banner ads, and launches of new products, services, phones and plans, for self-service and E-commerce applications. Maintain corporate editorial style guidelines. Participate in and contribute to team brainstorming sessions to address internal marketing campaigns. Collaborated on online banner ad campaign that outpulled ad agency campaign by 12%. Considered a “social media ninja”, monitoring the social mediasphere to interact daily with the public to promote brand awareness, enhance corporate image and support new product launches. Provided technical help desk support and troubleshooting up to 4,000 lines of code for over 120 customers daily. Streamlined and standardized orientation process, increasing the number of new clients processed by over 700% in the first year. Extensive experience in technical troubleshooting with various database and content management systems. Break down complicated processes, communicate technical information on both technical and non-technical levels. Three years experience in detailed technical documentation and training, including editing a 40-page technical orientation guide. Founded niche marketing communications agency, specializing in social media marketing, providing promotional brainstorming, blog consulting and writing services to small businesses. Recruited to conduct social media marketing breakout sessions for 100+ business owners at international conferences. Conducted the first Virtual Book Tour in industry, visiting 15 sites over 2 weeks, resulting in 5600+ message board posts during the tour. Three years experience writing SEO press releases. Created multiple Facebook fan pages with a 300%+ increase in fan base through a single promotion. Industry marketing website still ranks #1 in search engine results. Considered a pioneer and authority in the industry, approached by numerous manufacturers to partner to promote their products. Led “Train the Trainer” seminars, teaching retailers to promote book sales through classes. 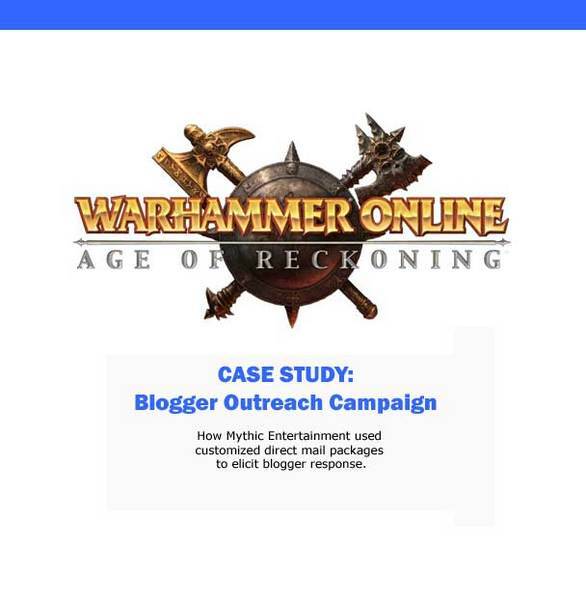 ARTICLE: What's the Big Blog?